Alastair Watson, Director and Co-Founder of Can You Escape?, was crowned Regional Rising Star for Lothian and the Borders at the VisitScotland Thistle Awards last Thursday, 10th November. The award recognises young people (under the age of 30) who have the passion, ambition and dedication for the tourism industry. Can You Escape? is an escape game based in central Edinburgh. Escape games are an increasingly popular industry, where teams of players are locked in a room for 60 minutes and are faced with a range of puzzles, clues and riddles to solve in order to escape and solve the mystery. 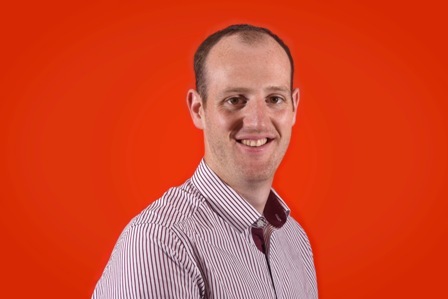 Before setting up his own business, Alastair studied Business Management at Aston University and then went on to work at Miller Construction where he joined the graduate programme. Alastair had always wanted to set up his own business, so when he saw escape games take off in Eastern Europe he thought it was the perfect business to bring to Edinburgh where nothing similar existed at the time. Alastair set up Can You Escape?, based at 5 Holyrood Road, back in 2014. Since opening, the business has gone on to open in York, run a range of live events and create Scotland’s first portable escape game. This isn’t the first award for the business, having also won Scotland’s Best Family Day Out (2015) and Edinburgh’s Best Performing Business (1-10) (2016). The business has received valuable support from a range of local organisations including Business Gateway, ScotEdge and the Power of Youth.